Tracy, Dana, Lori, and Corky Pollan are the authors of the multiple award winning The Pollan Family Table. Their awards include The Gourmand International Cookbook Award 2015, Best in the World, Best First Cookbook; BookPage Best Cookbook of 2015; Goodreads Choice Award Nominee for Food & Cookbooks (2014). In addition, each of the Pollans is a recipient of the Global Green 2015 Sustainability in Food Award. The Pollans have been on the “superstar panel of judges” for Edible Feast’s Eddy Awards for three years running. 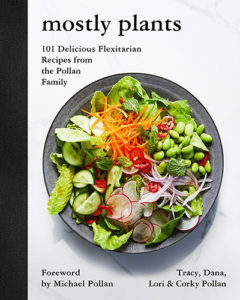 The Pollans’ recipes have appeared in O, The Oprah Magazine, Elle, People, Vogue, Better Homes and Gardens, Coastal Living, and scores of other magazines. 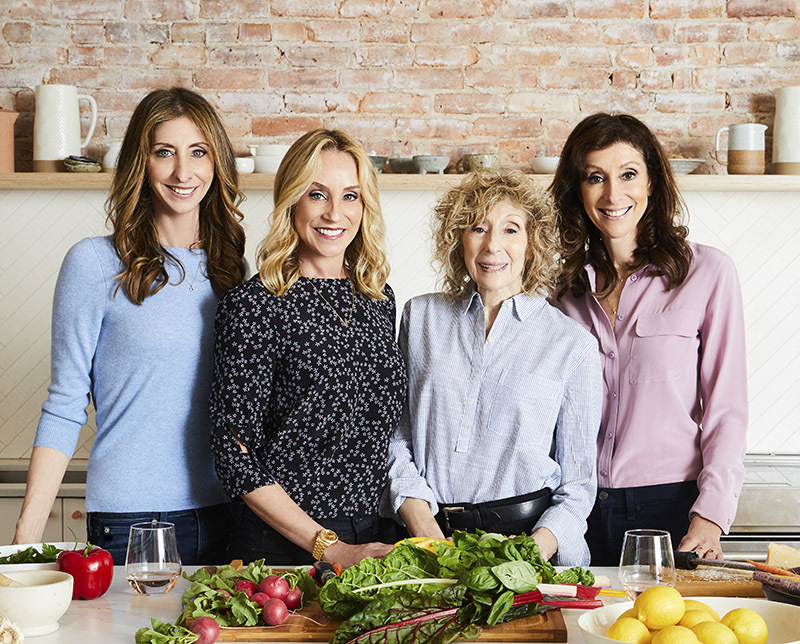 The authors have made numerous television appearances including Good Morning America, The Rachael Ray Show, The Chew, Good Day New York, and Home and Family, to name but a few. They have also been profiled in The New York Times, The Wall Street Journal, The Boston Globe, USA Today, and dozens of newspapers across the country. The Pollan’s popular recipe posts have appeared regularly on The Huffington Post and Edible Feast. Tracy Pollan is an Emmy award-nominated actress who has enjoyed a successful career in television, film, and on the Broadway stage. She began her career making her Off-Broadway debut in David Rimmer’s Album, later going on to perform on Broadway in Hugh Whitmore’s Pack of Lies and Neil Simon’s Jake’s Women. Tracy’s film credits include roles in The Little Sister, Promised Land, and Bright Lights, Big City. Notable television roles include Ellen Reed on the hit comedy series Family Ties, and starring roles in the television movies Natalee Holloway, The Kennedys of Massachusetts, and James Patterson’s First to Die. In 2000, Tracy earned an Emmy award-nomination for her guest performance on Law & Order: Special Victims Unit. Tracy has served on the board of the Michael J. Fox Foundation for Parkinson’s Research since its inception in 2000. She lives in Manhattan with her husband, Michael J. Fox, and has four children. Dana Pollan has had an illustrious career in fitness, health, and nutrition. 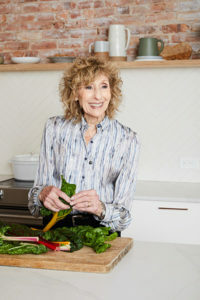 She co-founded the acclaimed Pollan-Austen Fitness Center where she designed and taught cutting-edge workout and exercise programs, was a personal trainer, as well as a consultant on nutrition and fitness. Dana co-created, produced, and appeared in a series of exercise videos and has been profiled and quoted extensively in the media on health and fitness including publications such as The New York Times, Elle, Health, Seventeen, Good Housekeeping, and Cosmopolitan. Dana also appeared as a fitness and exercise expert on television shows including NBC’s Live at Five, PM Magazine, and Everyday with Joan Lunden. She lives in Manhattan with her husband, Mitchell Stern, and has three children. Lori Pollan co-founded the renowned Pollan-Austen Fitness Center where she developed and taught innovative exercise programs, co-created a series of work-out videos. She consulted and designed exercise features for innumerable magazines (including Vogue, Glamour, Self, Shape, Harper’s Bazaar), television programs, and newspapers. Lori holds an MBA in marketing and is also a certified Life Coach with a focus on health, wellness, and stress management. She has written articles on diet and health for the Huffington Post. Lori lives in Manhattan with her husband Bob Friedman, and has three children and three stepchildren. Corky Pollan has had a distinguished career in the magazine world. She was the editor of New York Magazine’s signature column, Best Bets, a job she held for 17 years, turning it into the magazine’s most popular column. 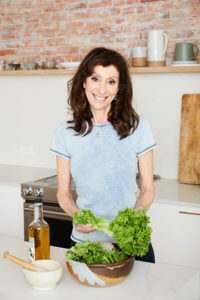 Corky went on to become Style Director of Gourmet, where she was involved in all aspects of the magazine, as well as a contributor to its weekly online Gourmet Newsletter. Corky has written for both the New York Times’ Dining Section and the Well Blog. She has covered entertaining for Coastal Living and was a frequent blogger on the Food Network’s Cooking Channel. She is the author of Shopping Manhattan and co-author of The Best On Martha’s Vineyard. Corky has four children and lives in Manhattan.